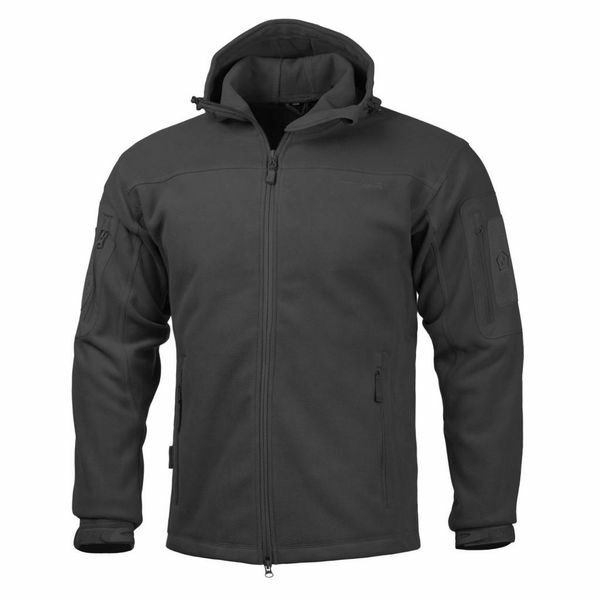 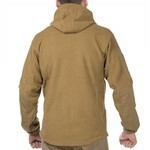 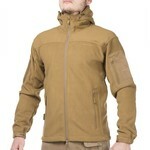 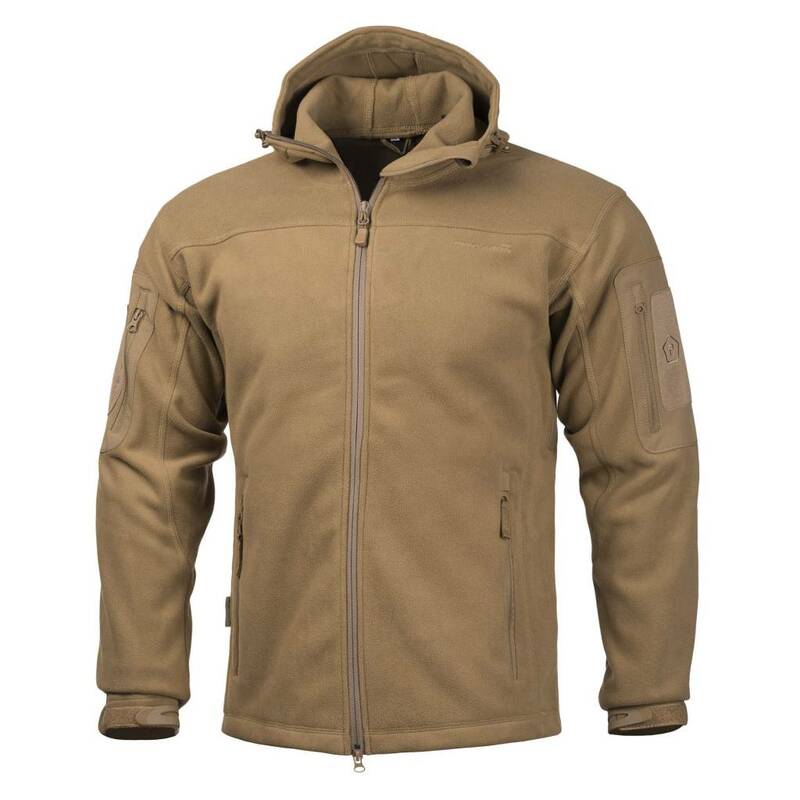 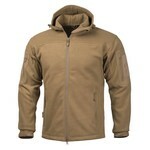 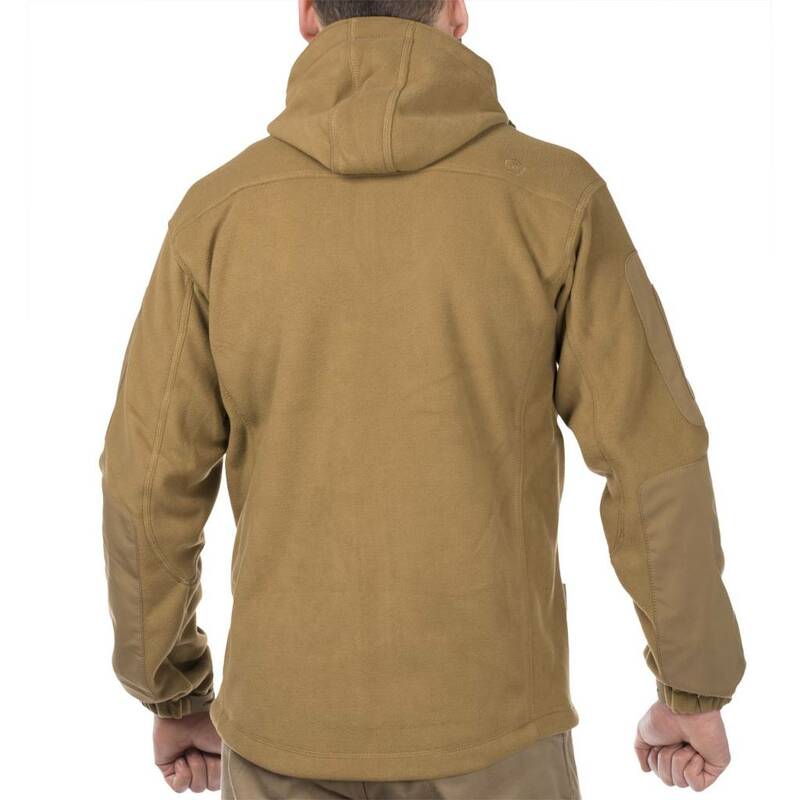 HERCULES Jacket, a multi-functional fleece jacket with a tactical orientation, is made from double backed 300Gsm. 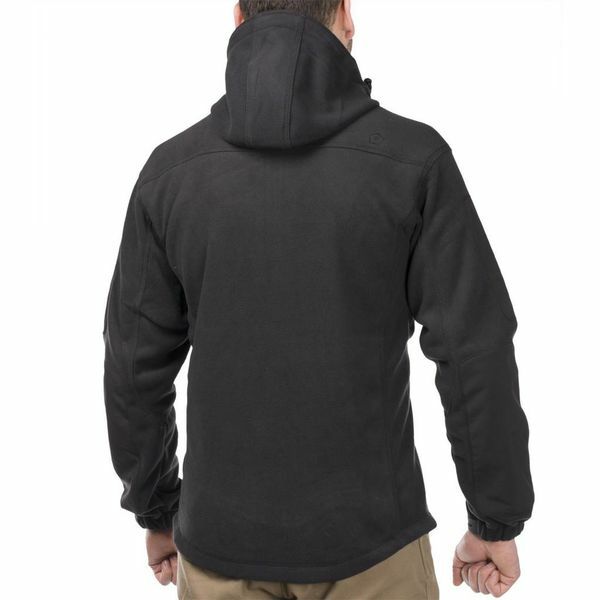 Super fine fleece. 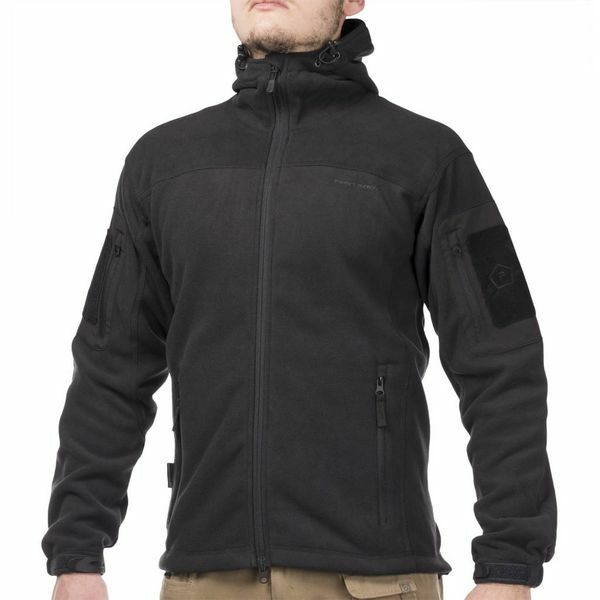 Convenient large hand pockets for utilities and documents, extra pockets on the inside, soft-shell patched arm pockets with velvet hook loop patches, re-enforced soft-shell elbow patches.